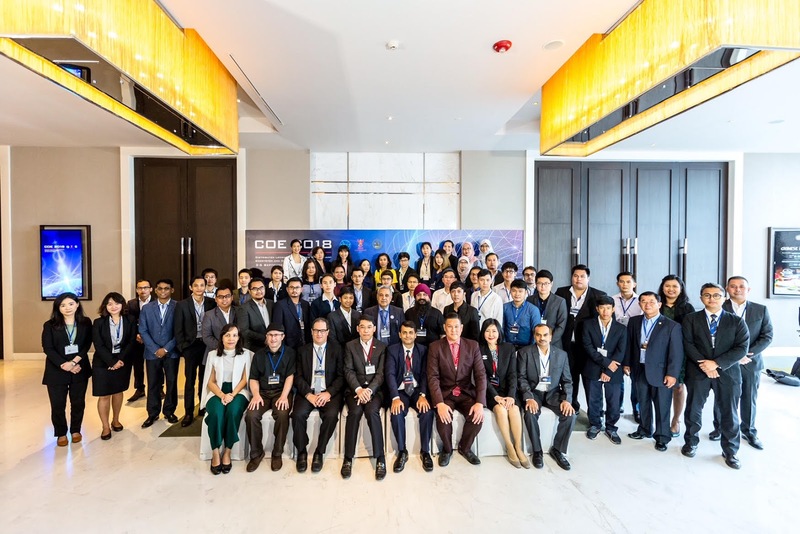 Dr. Jean-Marc Seigneur, President of Reputaction, has been to Bangkok during the first week of September 2018 to teach blockchain, Distributed Ledger Technologies (DLT) and cryptocurrencies to around 70 delegates of the Ministry of Digital Economy of Thailand and International Telecommunication Union (ITU). 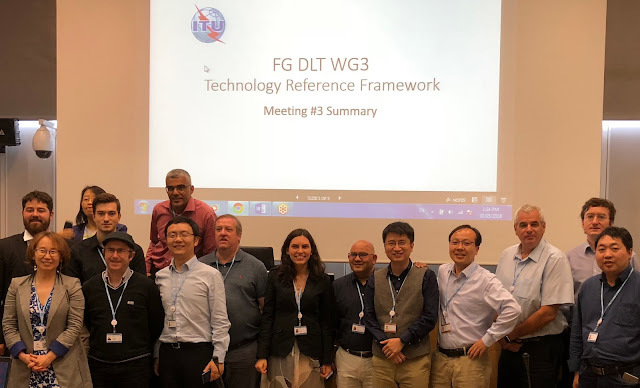 Most of the delegates were from Asian countries, e.g., Thailand, Laos, Bhutan, Indonesia, Malaysia or India and all came up with very interesting DLT uses-cases. During the first days they were taught the basics of blockchain and DLT including terminology, consensus algorithms, blocks versus directed acyclic graphs (DAG), 51% attacks, tokenomics... Then, they split into teams and had to come up with a convincing use-case of DLT. For example, they presented an Hyperledger-based halal certification system, permissioned between each Asian country administration in charge of halal certification, in order to avoid the same halal product manufacturer to redo similar certification in each country, saving time and increasing transparency, the market being worth several billions USD. Another team proposed an Ethereum-based permissionless system in order to better track the use of public money given to agencies in India for public services such as health or education. As in many other parts in the world, initial coin offering (ICO) legal aspects are discussed and considered as a new way of investment, especially when the projects involve blockchain and DLT that need incentive mechanisms. Thailand is quite advanced and open regarding ICOs because it has prepared new laws for the fields and should launch an ICO online portal by the end of 2018 where legitimate projects would be validated and then would be assured to get a bank account in Thailand. Dr. Jean-Marc Seigneur had also the opportunity to meet several other cryptocurrencies and blockchain investors and stakeholders. 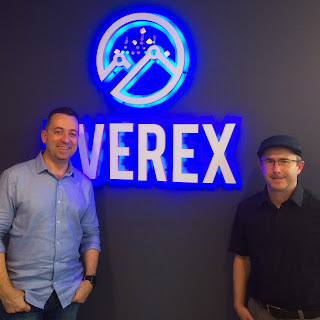 In the business centre of Bangkok, Dr. Jean-Marc Seigneur met the CEO of Everex, one of the first blockchain-based banking solutions providers based in Thailand, with great office view as shown in the image below. 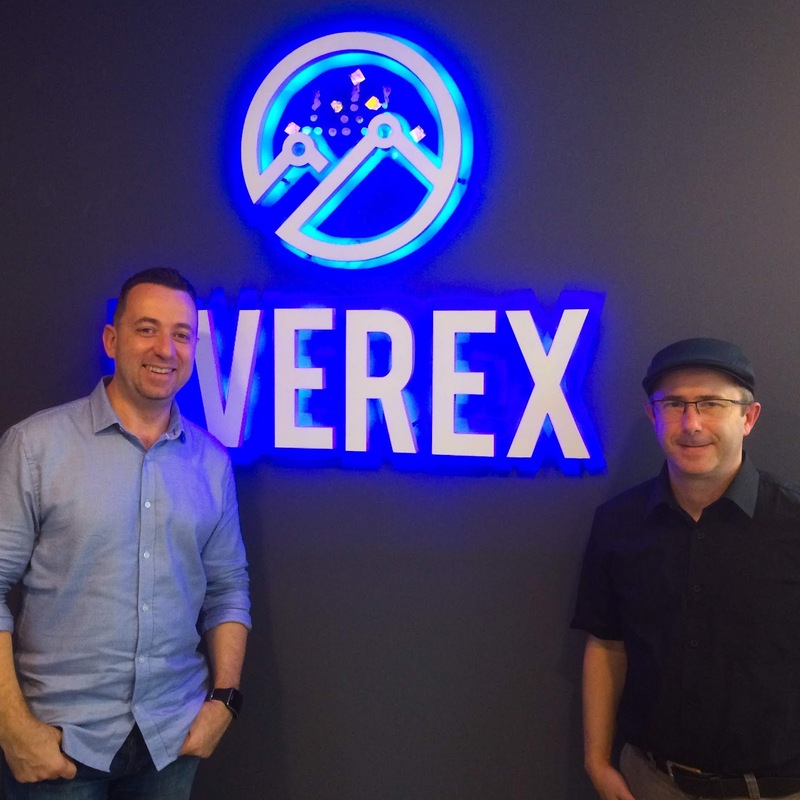 Everex has already successfully run its ICO based on its EVX token, also known for its Ethereum tokens explorer called Ethplorer. It is worth noting that other Asian countries such as the Philippines are quite active and favorable regarding ICO legal aspects. 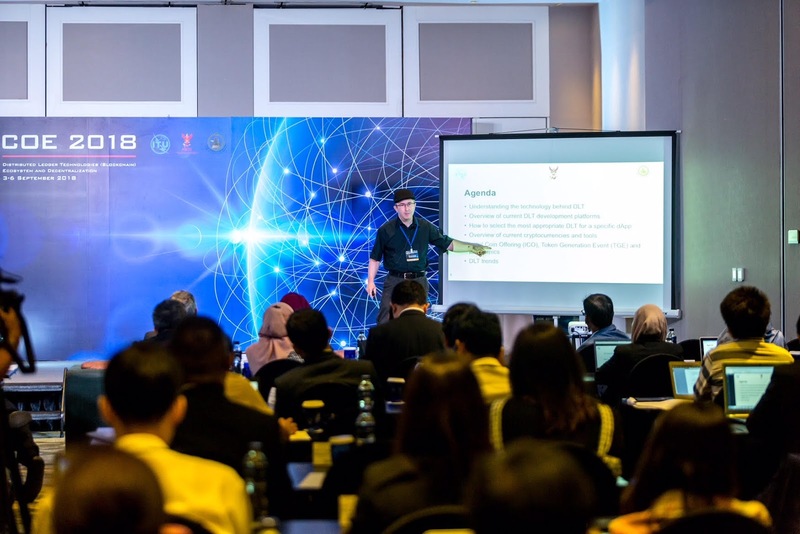 Dr. Jean-Marc Seigneur has already taught at the University of the Philippines Cebu and knows the good competencies of programmers in the Philippines, which could make it an attractive centre for DLT development if the legal aspects are finalized. Reputaction will continue to look at the DLT opportunities there and may even strengthen its DLT development team there if the right opportunity arises. In addition to be the founder of the patent-pending Reputaction hardened crypto wallet enforcing KYC & AML for any Bitcoin/Ether transactions, even instant and offline, I’m the director of a new postgraduate course at University of Geneva, official Certificate of Advanced Studies (CAS) worth 12 European ECTS credits, teaching decentralized applications (dApps) with blockchain and DLTs. A difficult question for such a course is actually to choose the most appropriate available platforms to teach dApps development with blockchains and other Distributed Ledger Technologies (DLTs). I have already compared dApps platforms in a previous post but this time the teaching aspect is more important. Such a postgraduate course is done over a short period of time, on site or online, in this case on Fridays and Saturdays mornings from mid-January to mid-May. There is no time to teach the basics of programming and of course if the dApp development platform uses well-known programming tools, it helps a lot to facilitate the learning curve. Which dApp dev platform uses well-known development tools? One well-known Integrated Development Environment (IDE) is the Microsoft .NET C# Visual Studio and Team Services, which has even recently bought Github. Being able to develop smart contracts and dApps with such a mature and complete IDE is from my point of view a real asset. There are a few blockchain dApp dev platforms that are well integrated with .NET and especially C# its main programming language. NEO and Stratis are 2 blockchain dApp dev platforms very well integrated with C# and .NET. NEO has its own NUGet package that can be easily added to Visual Studio as well as a compiler and even an emulator, which doesn’t require to have access to a deployed blockchain such as the mainnet, testnet or privatenet. 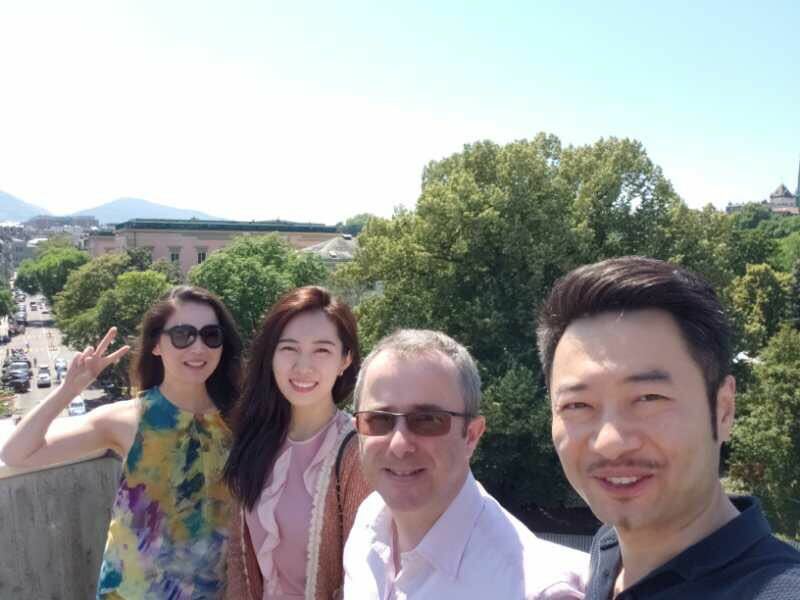 As you can see on the images below, on June 20th 2018, I have had the pleasure to organize the first NEO development workshop and meetup at University of Geneva in the presence of Da Hongfei, Founder of NEO, and Caterina Zhang, NEO Head of Marketing & Communication. There was also Peter Lin, NEO Head of R&D, who underlined that NEO Python implementation had even a greater community participation than NEO C# main internal implementation. He said that Erik Zhang, NEO co-founder, is more a fan of C#, as I am, especially because I think that strongly statically typed languages are more secure, with fewer bugs at runtime, which is important for smart contracts. However, Peter also emphasized that Python has been chosen as the main programming language to be taught to Chinese students, such large adoption should be taken into account. Anyway, the good thing with NEO is that it has several implementations including C#, the most up-to-date one because it is the main internal implemenation, and Python, which is also well up-to-date thanks to open source community contributions. Sometimes having too many implementations is difficult to maintain. Recently NEO has had some issues regarding its code stability. In my opinion, great care should be taken for backward compatibility with previous code, using deprecated methods warnings rather than methods hard crashing. 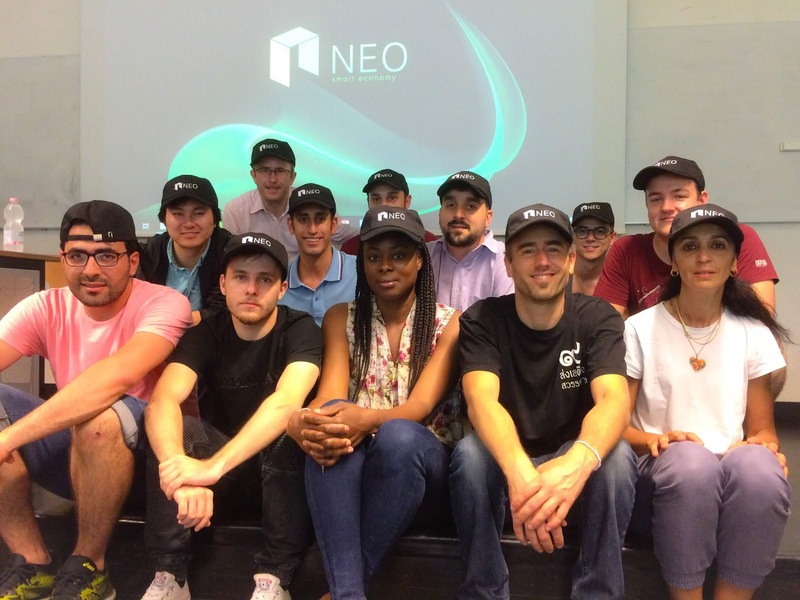 It is also not clear if NEO will have all of its own building blocks as described in its original whitepaper such as identity management or through external projects, e.g., now it seems that ONTology is supposed to provide identity management in relation with NEO but the relation is unclear as it has its own tokens and implementations. The NEO fees structure needs also some stabilityand drastically changing fees structure wouldn’t allow developers to be able to confidently choose NEO for long term projects. Smart contract deployment on NEO was quite expensive, requiring 500 GAS at the beginning but then its usage based on the 10 first GAS free was appealing for some longer term projects, reducing their cost in the long term. Due to abuse of these 10 first GAS free and fewer projects willing to pay 500 GAS at the beginning, the co-founder Erik Zhang has hinted that NEO pricing model could change a lot rather than just be adjusted, which should be avoided IMHO. Aligning NEO pricing model on Ethereum pricing model isn’t the only solution because computational trust could be tried to exclude malicious behaviours and encourage positive behaviours whilst still keeping the original pricing model, which has its own advantages compared to Ethereum-like pricing model. Anyway NEO with its C# .NET integration is still a valuable blockchain platform contendant for the course though. Stratis has also a valuable C# .NET integration and mainnet blockchain launch based on proven Bitcoin building blocks and additional sidechains. It will be easier for students of the new University of Geneva course to switch to Stratis if needed because they will have already learnt a previous blockchain with the same IDE and programming language. However, the new course has the aim to give an overview of different blockchains/DLTs and their development environments. 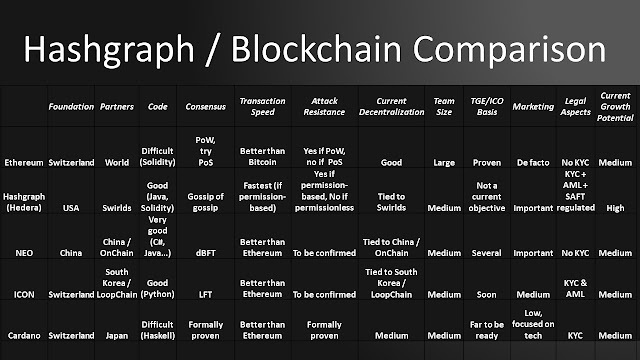 It is the reason that Ethereum will also be taught because it is the most well-known dApp/smart contracts platforms with a quite attack-resistant public blockchain (at least as long as Proof of Work is used). Ethereum has also experienced an important gain in tokens value, in this case Ether, and volatility but Ethereum has succeeded to maintain its initial approach to fees for smart contracts deployment and usage. The learning curve for the students will be longer for Ethereum because they will have to learn the new Solidity programming language, which is also more difficult to use without bugs. The development environment is improving though, for example, with proven Ethereum smart contracts templates by Zeppelin and Truffle, a popular development framework for Ethereum. The students of our new Certificate of Advanced Studies (CAS) will leverage these tools too. We have mentioned above that 2 decentralized application development frameworks with blockchains will be taught during the course but what about other with other types of DLTs such as Directed Acyclic Graph (DAG), tangles… There aren’t so many proven options for dApps developments with non-blockchain-based DLTs. We are at the moment discussing with Hashgraph Hedera because Swirlds the private company behind its patented Hashgraph technology has already used it for many real use-cases in different applications domains, although in permission-based/private settings. Hedera the open version has still to prove itself in public settings, especially regarding attack-resistance. From the point of view of the course, the learning curve shouldn’t be to high because Hashgraph has a Java implementation, which is a well-known programming language, and Hedera will also be based on Solidity, already taught during the course. Another interesting DAG that is considered is the recent Fantom platform for building dApps with DAG, although in very early stage for now and with claims (reaching 400 000 transactions per second) needed to be validated by peer-review. IOTA tangle theory will be quickly covered because it is a well-known non-blockchain project but it isn’t really a fully fledged dApp development framework. Talking about peer-review, if you are building a decentralized app or new blockchain/DAG/crypto-currency and would like to get peer-review, I recommend that you submit an article to the ACM SAC 2019 DAPP track with deadline on September 10th 2018 because your work will be then published the official ACM Digital Library and you will be able to claim that it has been peer-reviewed. We are also welcoming sponsors to be listed on the ACM SAC 2019 DAPP track Website and CFPs and/or on the new blockchain, DLT & dApp course Website. Presentations of innovations in the field at University of Geneva are also possible. Contact me for more information! We have worked on the technology reference framework and DLT evaluation criteria. The goal is to not only cover blockchains but also other DLTs such as Directed Acyclic Graph (DAG), e.g., Fantom or Hashgraph Hedera. I am in contact with both Fantom and Hashgraph and they might join the initiative. Anyway, trustworthy independent evaluation is important, e.g., especially, when projects announce hundreds of thousands of transactions per second, still with high attack-resistance and without high energy consumption. If you’re part of a project willing to join that DLT standardisation initiative, contact me on LinkedIn and I may help you. Reputaction chose to start presenting its innovative "hardened crypto wallet" solution to the South Korean crypto community because it was known as the most vibrant one worldwide... and it has been confirmed by Dr. Jean-Marc Seigneur, President of Reputaction, who has really enjoyed meeting them as you can read below. In a previous video post, we discussed the different blockchain platforms on top of which the Reputaction decentralized application (dApp) could be implemented. 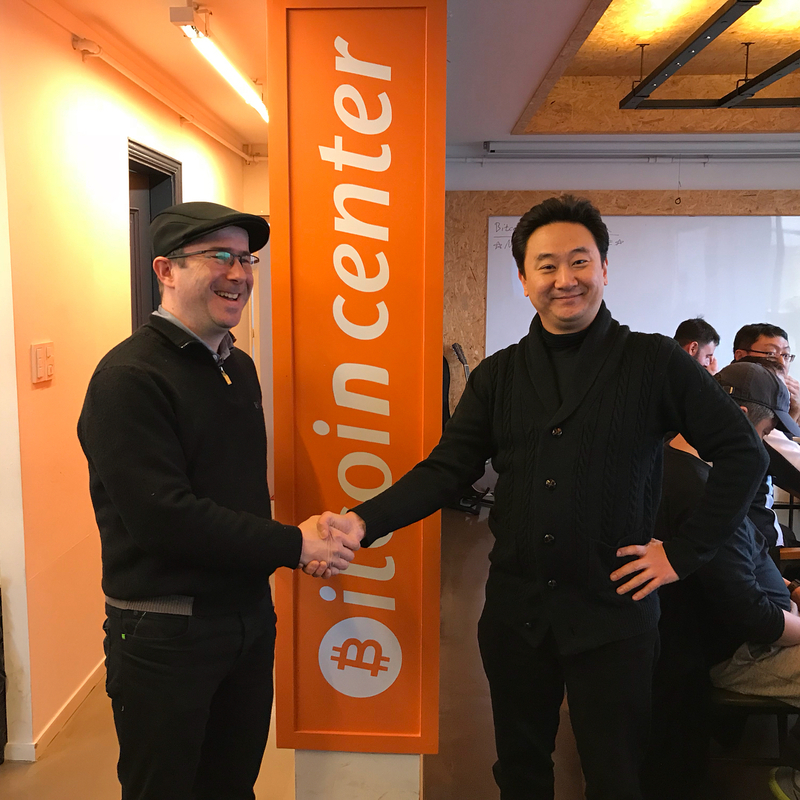 ICON seemed to be one of the best candidates so Dr. Jean-Marc Seigneur met the ICON team in Seoul on February 9th 2018. Their discussion went very well with different potential collaborations. 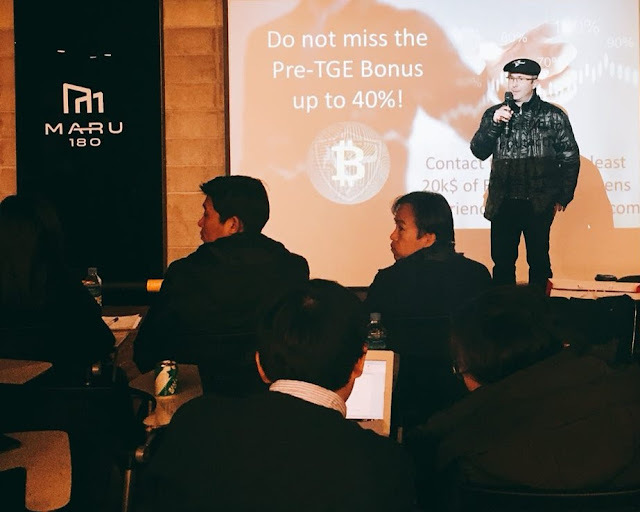 Dr. Jean-Marc Seigneur also presented Reputaction at several crypto-currencies Korean fans communities. 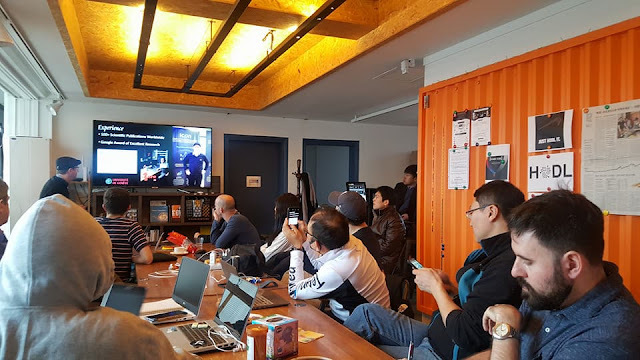 As you can see on the photos below, the Kangnam Crypto Club meetup had lots of people attending (200+ subscribed) and was very well organized by Jaime also affiliated with SeoulBlockchain.org. Questions were answered regarding how the patent-pending Reputaction "hardened crypto wallet" could achieve anonymous Bitcoins transactions showing how it differs from Lightning networks or Stratis TumbleBit approaches that do not enable offline transactions as Reputaction does and requires some initial setup before transactions such as a bi-directional channel or tumbling the Bitcoins in a Breeze wallet, in this case, requiring paying a 1% transaction fee and holding some BTC as well as some Stratis tokens to qualify as a masternode... The technical level of the questions showed that Korean crypto fans are quite well aware of the technical aspects of the crypto-currencies too. Besides owning a Reputaction-compatible hardened wallet with one Reputaction token burnt per transaction, Reputaction doesn't require bi-directional channel and other complicated setup. The non-anonymous mode of Reputaction enabling higher levels benefits for sellers, buyers and even products, has also been emphasized as an additional advantage of Reputaction over previous approaches. Dr. Jean-Marc Seigneur was also program co-chair of the 9th Augmented Human International Conference that he started in 2010 and was organized this year at Seoul National University. 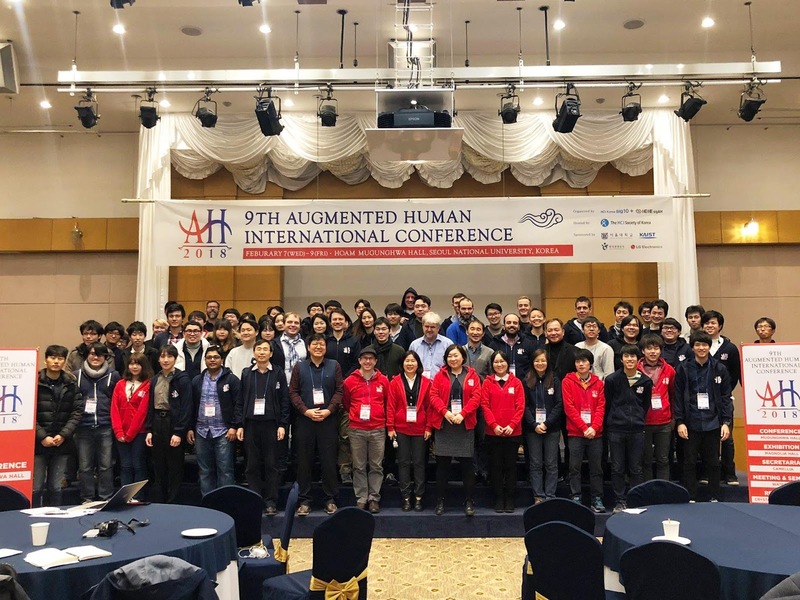 Augmented Human (AH) encompasses Augmented Reality (AR) that is one of the highest building block of the Reputaction decentralized application (dApp) built by Dr. Kevin Fan, Reputaction team member, to be able to recognise a product and show the product reputation and relations with AR certified thanks to the reputation-powered non-anonymous transactions enabled by the Reputaction hardened crypto wallet. We remind that the Reputaction hardened crypto wallet has two main modes: the anonymous mode that guarantees anonymity but forbids building reputation and the non-anonymous mode that enables reputation building and benefits for sellers, buyers, products and companies. Dr. Jean-Marc Seigneur, Président de Réputaction, a été interviewé sur le futur du e-commerce en Suisse en 2018 par le journal AGEFI. Il a souligné que l'arrivée d'Amazon sera le plus grand défi. Vous pouvez lire tout l'article en cliquant ici. Dr. Jean-Marc Seigneur, President of Reputaction, has been interviewed by the Swiss AGEFI newspaper on the future of the e-commerce in Switzerland in 2018. He has underlined that the greatest challenge is the arrival of Amazon in Switzerland. You can read the full article (in French) by clicking here.